2003 Nissan 350Z 3.5L V6. 2004 Nissan 350Z 3.5L V6. 2005 Nissan 350Z 3.5L V6. 2006 Nissan 350Z 3.5L V6. Notes: Engine Valve Cover -- Firewall Side; Valve Cover Gasket Included. Position: Right. Ensure Proper FitTo confirm that this part fits your vehicle, enter your vehicle's Year, Make, Model, Trim and Engine in the Compatibility Table. 2003 Nissan 350Z 3.5L V6. 2004 Nissan 350Z 3.5L V6. 2005 Nissan 350Z 3.5L V6. 2006 Nissan 350Z 3.5L V6. Notes: Engine Valve Cover -- Radiator Side; Valve Cover Gasket Included. Position: Left. Ensure Proper FitTo confirm that this part fits your vehicle, enter your vehicle's Year, Make, Model, Trim and Engine in the Compatibility Table. 2003 Nissan 350Z 3.5L V6. 2004 Nissan 350Z 3.5L V6. 2005 Nissan 350Z 3.5L V6. 2006 Nissan 350Z 3.5L V6. 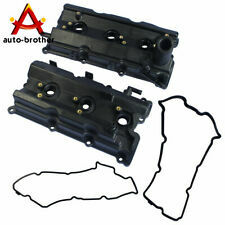 Product Remark: Includes Gasket - For 3.5L V6. Notes: Engine Valve Cover -- Engine Valve Cover and Gasket - Left (Radiator) Side. 2003 Nissan 350Z 3.5L V6. 2004 Nissan 350Z 3.5L V6. 2005 Nissan 350Z 3.5L V6. 2006 Nissan 350Z 3.5L V6. 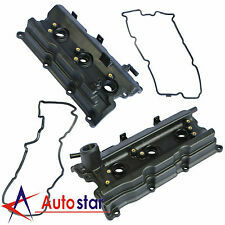 Product Remark: Includes Gasket - For 3.5L V6. Notes: Engine Valve Cover -- Engine Valve Cover and Gasket - Right (Firewall) Side. 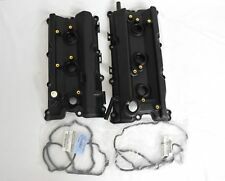 "Beck Arnley Valve Cover --. Notes Radiator Side, Valve Cover Gasket Included, Location : Driver Side. Location : Left. Condition : New. Therefore all implied warranties that may apply to your part are limited to the duration of this written warranty.